Can you think of a better way to catch the sunset than at this gorgeous beach in Ibiza's beautiful west? Once you get there and see the turquoise blue waters and lovely golden sand, it will be love at first sight. It's no wonder that Cala Salada was named one of Europe's best beaches. 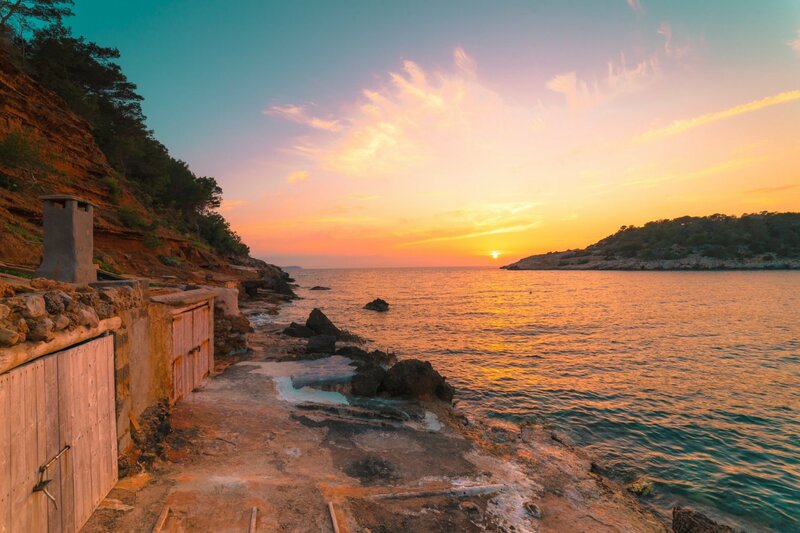 At sunset, expect the vivid orange, yellow and purple sky colours that Ibiza is famous for and notice that this is as close to paradise as it gets. Top tip: Access during the day is mainly by bus to protect the area, so go there 18:00 when the road is open again to catch this magnificent sight and sit by the fishermen's huts.